Happy April! Traveling day! San Augustin to Popayan, which is a little backtracking through one of the worst roads I’ve ever ridden on. 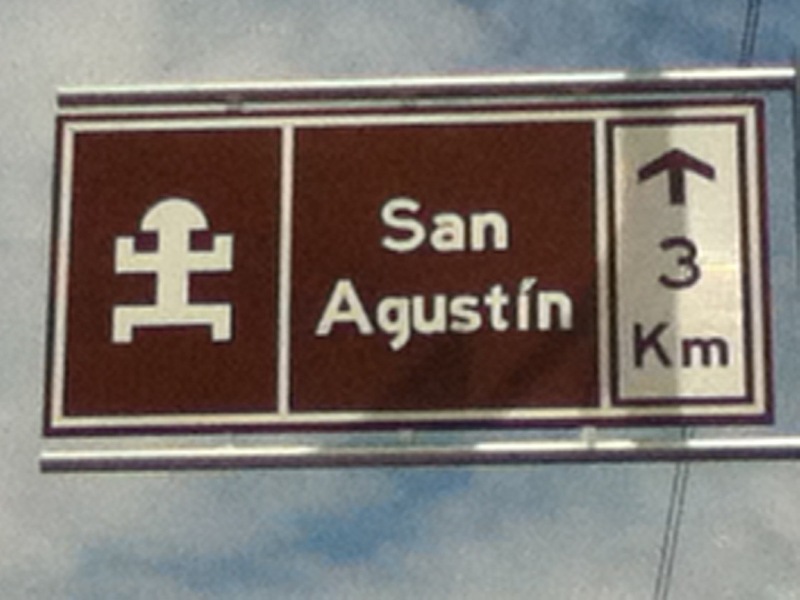 There were two options for crossing the ecuadorian border from San Augustin. Option 1: Stay south from where we were, however that included some minor potentially dangerous options, and some pretty amazing options. Moca the town we could of visited is known as “the gateway to the jungle” and to visit the Colombian jungle would of been amazing. That was just one bus away. Then you would have to hire a driver to who owns a truck to get you across 6 hours on “the trampoline of death” road as it is a one-way dirt road that is on the ledge of cliffs which in one second toucan easily slip off of. This part didn’t sit we’ll with me, and the fact to hire a driver is quite pricey. The buses are more dangerous to take on that road and are advised against taking. Then the final straw was that we heard a traveler in Jan of 2013 get into some trouble with the paramilitary and said that its not worth traveling as they pose a threat and have been known to steal and mistreat people on their way to the border. Option 2: Backtrack back to Popayan, and then take a bus to Pasto and then cross the border from there. This is a typical way of getting to Ecuador and recommended. So we decided to do this instead. Seemed faster, cheaper and less potentially dangerous situations. Out of San Augustin it’s important to but a ticket one or two days in advance. There are few busses and every “day of” inquiry we had, they were always full. We eventually bought a ticket to Popayan with the bus company Cootranslaboyana Ltda- estelar. It is the second bus station from the corner with the tourist information sign. Don’t ever ever go with this bus company. They straight up lied to Steven and I and overcharged as there were more stops than discussed and the bus was one hour later than discussed. It’s one thing to be late, and its another thing to lie about it blatantly. They literally told us the exact opposite of the truth. Really rubbed me the wrong way. The bus ride was 4 hours but can be anywhere from 3.5 – 6.5 hours so be sure to check what type of vehicle you are traveling in and how many people will be on that bus. Definitely makes a difference. The ticket was $30,000 for two ($15.00 USD). In Popayan at the bus terminal we caught another bus to Pasto which was a 5.5 hours. It cost $20,000 COP ($10.00 USD). You can definitely negotiate the price a bit, especially if there are two or more people traveling together. It was a long and windy road, also tough after a previous 6 hour bus ride. Semana Santa in Popyan! It is considered done of the top places in the world to be for this holy week leading up to Easter. Almost every single Colombian has the week off so the whole country has become flooded with Colombian tourists! I have started my journey venturing down to Ecuador with my friend from Washington State leadership camp, Steven. He will be joining me for three weeks and its my first time traveling with someone else. Popayan has Cathedrals, statues, artwork, artisans, and friendly people. Did I mention the town loves Catholicism? We were told from the guide book that you must have a reservation during this time of the year. It also said to expect that dorm rooms would be three times as they usually are. Steven and I arrived at 7:00 pm with no reservations, smart right? 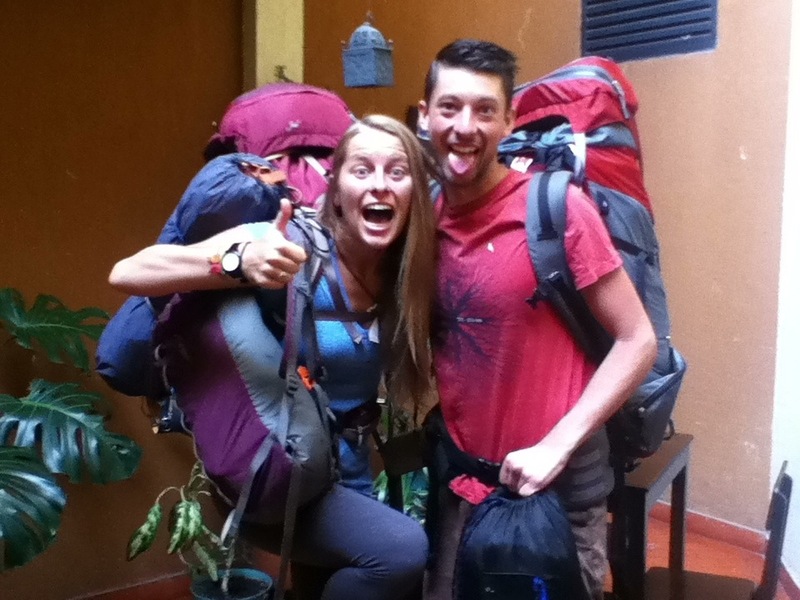 We stumbled upon expensive places and finally settled into a backpacker hostel for a super cheap Price. Steven found a bed for $22,000 COP ($11.00 USD) and I ran into some friends of mine and was able to sleep on the floor for $10,000 COP ($5.00 USD). Nice Price right? Its actually cheaper than any other place I have stayed at. So much for what the guide book says! Here comes another lesson that I have learned that I want to keep reiterating. People talk about all sorts of things in life. Some of it is true, and some of it is false. Take what people say with a grain of salt and consider where the information comes from. The only real way to truly experience or know anything about something is to go and figure it out for yourself. I cannot say how many times people told me not to do something because it is too scary, expensive, or not worth it. When I ended up doing, seeing or going to where they said not to, it was one of the most favorite parts of my trip. This is definitely a lesson I will bring back to me in the United States. Listening to yourself is most important! Back to Popayan, the town was packed full of Colombians as they were all on their spring break. The streets were flooded with people were watching the procession of the Catholic idols. This ranged from Jesus to Mother Mary, to children carrying candles to the military carrying guns and saluting. This was a very serious sight to be seen as people travel from all over the world to see this! We went out at night and enjoyed the locals and met some really lovely people. Its been quite lovely traveling with another person that I trust. I do not always have to make decisions on my own and its a nice change of pace. To get to Popayan from Salento you have to take a bus from the center of Salento to a larger town nearby called Armenia. The bus ride is $3,600 COP ($1.30 USD) and takes about 45 minutes through the rolling luscious green hills. From the Aremnia terminal we took another bus that was sold to us as ¨direct¨ to Popayan. We discovered it was not as direct as we thought and stopped in Cali, dropping off people in town and sitting an extra hour in traffic. The bus ride was $35,000 COP ($17.50 USD) and the whole bus ride was an easy 6.5 hours.